When we talk about the greatest bassists of all time, the candidates usually fall into one of two categories. On the one hand, you have the Stadium Superstars: Flea, John Entwistle, Geddy Lee, Steve Harris. People who are indisputably awesome players, but definitely buoyed into the stratosphere by the fame of their world-conquering bands. 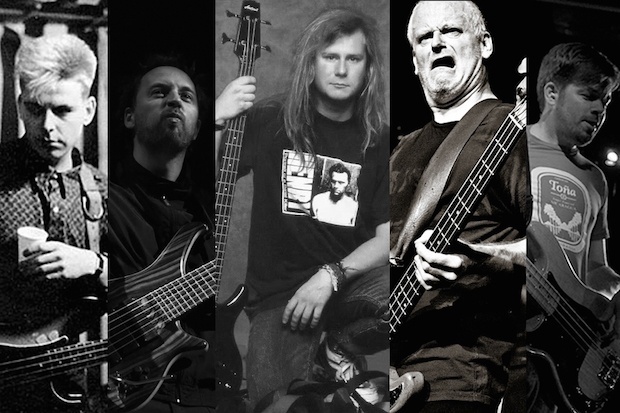 Then you have the Bassist’s Bassists: cats like Victor Wooten, Jaco Pastorius, John Myung, Billy Sheehan. These masters of the instrument are far less well-known outside of the instrument’s niche audience. More for the hardcores than the casuals. But there’s a third group: the Quiet Achievers. These bassists have never seen stadium fortune and don’t usually inspire Young Turks to hit the woodshed and practice their double-thumbing. What they have done is write memorable, rewarding music in which the bass plays a role that is both striking and supportive… like any truly great bassist should. I’m a guy who plays in bands, and you probably are, too, so it’s the Quiet Achievers who inspire me the most. Here are five of my favorites. When your band contains a bonafide cult icon and a bonafide guitar hero, you might be forgiven if you’re a little bit overshadowed by your bandmates. Not to be outdone, Rourke simply went about his business, writing perfect pop bass parts that everyone should know about. Boasting a rich, compressed pick tone and an adventurousness honed in funk bands, Rourke’s lines are always vibrant. 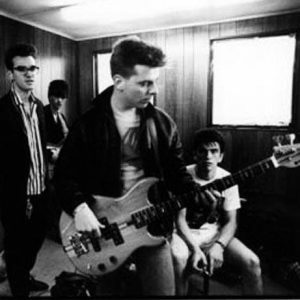 Never will he let a song go by without finding a lovely melodic phrase to connect the roots of Johnny Marr’s shifting chords, or an inventive rhythm to build upon the steady oompah beats of drummer Mike Joyce. Musically, he’s never sitting still. But there’s an innate balance to his lines; there’s always a degree of complexity, but the parts never feel remotely overplayed. It’s hard to imagine the classic “This Charming Man” without Rourke laying the foundation for the rest of the band to play off of, the jaunty verse lick contrasting wonderfully with a loping, jazzish walking line in the chorus. Deeper cuts like “Still Ill,” “William It Was Really Nothing,” and “The Headmaster Ritual” are just a few more brilliant indie rock, low-end workouts. They don’t make ‘em weirder than Squarepusher. Equally happy with a bass or a laptop in his hands, he resembles an electro genius like Aphex Twin smushed with a funkster guru like Stanley Clarke. The music that comes out is an electric, experimental melting pot of electronica, funk, jazz, and post-rock. And while, yes, he is one of those dudes who has released an album of solo bass material, I feel that he truly shines when he’s working that four-string alongside other instruments. Take “Iambic 9 Poetry,” for example. Its centerpiece is a beautiful, yearning phrase driven by chiming natural harmonics, reminiscent of Jaco Pastorius. As it repeats and repeats, Squarepusher layers keyboards and drums around it, building the song to a swirling, euphoric climax. It’s a great example of deploying the bass for unconventional, yet deeply emotional purposes. Yet when he’s not tugging at the heartstrings, he knows how to crank out some excellent upbeat music. “Cooper’s World” (too good not to share; listen below) finds the man low-key shredding his way through some crazy finger-style funk lines, while surrounded by breakbeats and ironic jazz skronk. 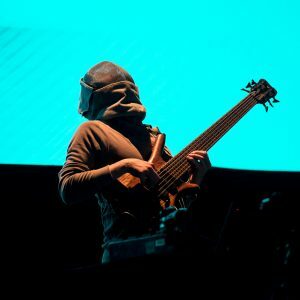 A low-key virtuoso who is a multi-instrumental composer first and foremost, Squarepusher is well worth your time. It’s hard to describe the Dismemberment Plan in a nutshell. Something like a punkish American Radiohead with an off-kilter sense of humor, their music defies easy categorization. They’re the kind of band that will write a song in 5/4 about a machine that can fix our memories to make us happier (below). And Axelson is just the kind of bass player this music needs. As we listen to him lock in for the skittery verses and then play against the rhythm of the drums for the chorus and bridge, we’re made aware of what can be done with simple root notes and a handful of hooky grooves. The bassline sticks out without ever cluttering anything. On “The Other Side,” propulsive drums push through a lush web of ethereal guitars. Sitting in the middle of the swirl, Axelson’s bass constantly returns to a descending dub arpeggio. Yet, he improvises sparse licks and syncopated rhythms around it, showing us how both leaving and filling space are essential to giving a song vibe and momentum. For other excellent Axelson moments, check the hooky line on “Spider in the Snow” or the elegant, melodic playing from his time in Maritime. 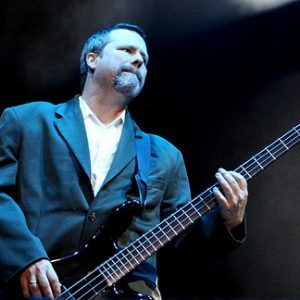 For me, Billy Gould is the embodiment of the player who can do it all while never forgetting the role of the bass as a supportive rhythm instrument. If I can sum up his approach in one word, it would be adaptable. From the deep grooves of “Evidence,” to the glam-funk of “Falling to Pieces,” to the gospel bounce of “Just a Man,” Gould constantly drops lines and licks that just stick in the brain, pick or fingerstyle, heavy or light. One of the best examples of all his versatility coming together is the title track of Faith No More’s King for a Day, Fool for a Lifetime. The bass immediately announces itself with a driving bassline, both melodic and quirky. As the song progresses towards its exhilarating, riffy climax, Gould pulls out all the stops, string-bending, chord-strumming, and blues-riffing the hell out of his instrument. It’s a perfect example of what a no-rules approach can bring to an otherwise straightforward song, and how a bassist can steal the show by finding space in the song and shoving a cool idea (or three) in there. 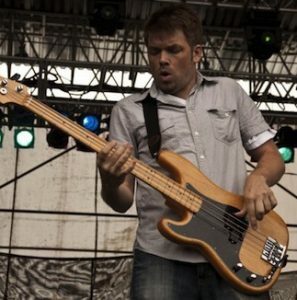 On a cool side note, Gould has produced several records and is a proficient songwriter on several other instruments, proving that bassists can also be pretty darn creative bandleaders! NoMeansNo has enjoyed a cult following for years based off their 1989 album Wrong, a landmark underground album that irreverently blurs the line between art-rock and punk. Wright’s furious energy and tongue-in-cheek technicality is a massive part of the reason the album still gets props to this day. Music is full of many soundalike artists, but Wright stands tall with a style that is truly his own. The fact that he and his band have remained defiantly DIY and continue playing loud, sweaty shows well into their 50s is just another reason to love the guy. Alex Wilson is a multi-instrumentalist, composer, and producer from Sydney, Australia. He founded the post-rock band sleepmakeswaves, with which he has toured Asia, America, Europe, and Australia. In his spare time he writes music for short films, produces bands, and subsists on altogether too much coffee. Alex is the instructor of the upcoming Soundfly course, Ableton Live Clicks and Backing Tracks.